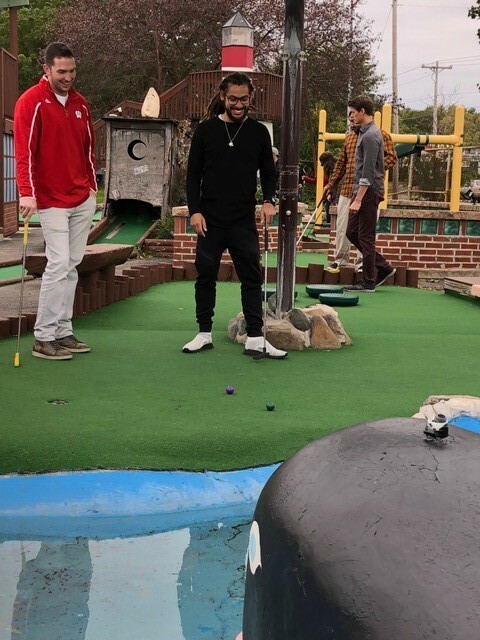 On Saturday, September 29th, the GBA and Joint Venture Club teamed up to host the MBA Open, a mini-golf tournament for all MBA students, their family, and friends, at Vitense Golfland on the outskirts of Madison. Participants were able to partake in two of Vitense’s activities, including mini-golf, the driving range, foot golf, batting cages, and more, and then come back to the reserved patio to socialize with the rest of the group. 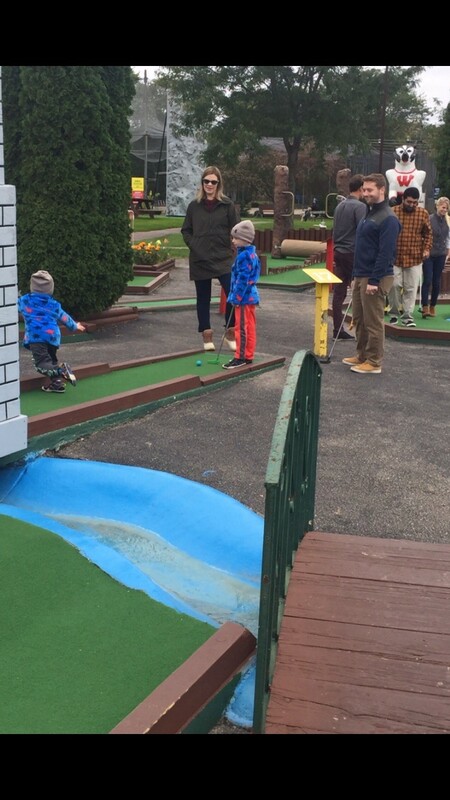 It was a great family-friendly afternoon for everyone to socialize outside of the confines of Grainger Hall, and despite the unusually cold weather, fun was had by all. 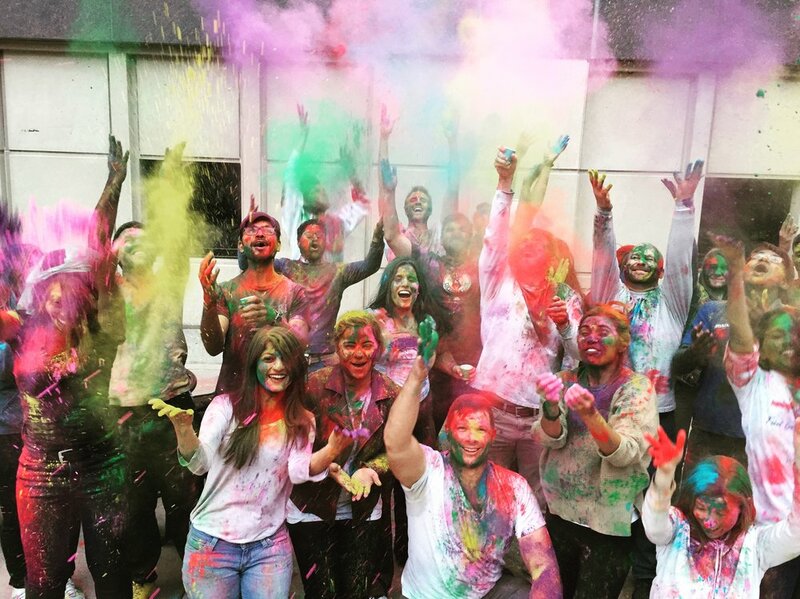 Many agreed that hopefully a new MBA tradition was born! On September 27th, the Wisconsin MBA Veterans Club hosted MBA students and staff at the Wisconsin Veterans Museum for the annual “Visit Our Vets” night. Throughout the evening, attendees got to immerse themselves and learn from the lives and experiences of our MBA program’s veterans of the U.S. Army, Navy, and Air Force. Veterans had rotating stations throughout the museum that highlighted storytelling around personal military experiences, life aboard Navy vessels, Army warfare and current affairs, United States Air Force capabilities, and Wisconsin’s role in American military history. Attendees were also able to tour the Veterans Museum and see artifacts ranging from the American Civil War to present day. It was a great opportunity to share and build upon the diversity within the Wisconsin MBA program and socialize in a unique setting! On February 17, 2018, Wisconsin MBA students and faculty dove into Lake Monona to help raise money for Special Olympics Wisconsin. With about 80 participants total, the Wisconsin MBA Team is one of the largest Polar Plunge teams in all of Madison. This year’s team came in 4th place after raising $14,200. The Polar Plunge has become an annual tradition for Wisconsin MBA students. Each year, the different centers compete to see who can raise the most money, get the most participants, and have the best costume. Marketing Research came in first place for most fundraised for the second year in a row. Risk Management was a close second and had 100% participation in their center. 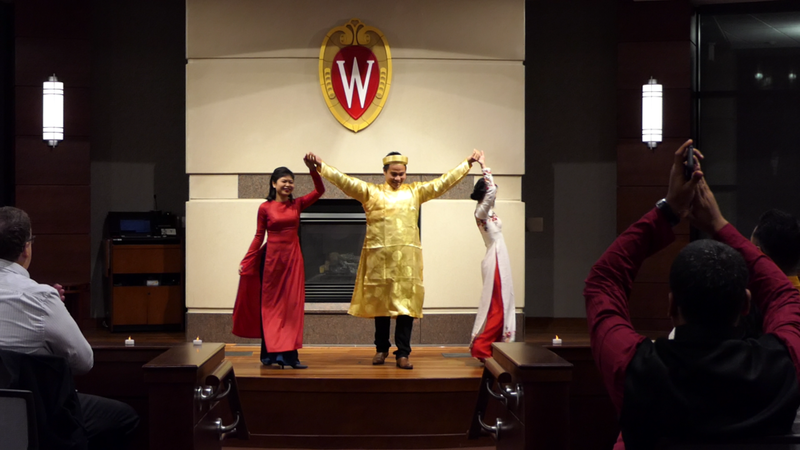 The Wisconsin MBA program is committed to giving back to the community and looks forward to carrying on this fundraising tradition again next year. The 4th annual GIBA International Night was organized by the Graduate International Business Association on November 1st 2017. The event was attended by more than 130 students, significant others, and faculty and staff members. It was a fun filled event with a plethora of dancing, singing, music and fashion show performances put together by the Full-Time MBA Students. On Friday, September 29, 2017, several MBAs volunteered with the UW-Madison Campus Chapter of Habitat for Humanity! Each year the chapter raises thousands of dollars to build a single home in partnership with Habitat for Humanity of Dane County. Our MBAs joined in on the fifth day of building this year’s home, which is located in Fitchburg, and helped out by placing wall framing around the exterior of the house’s first level. GBA will host a few more volunteer events like this one this semester, so stay tuned for more opportunities to get involved with the community! The MBA Veterans Club hosted University of Wisconsin-Madison faculty and fellow MBA classmates at the Wisconsin Veteran’s Museum. During this event, the MBA Veterans utilized static and interactive exhibits to engage and inform their peers on some of the experiences of being a military service member. This was a great opportunity to showcase some of the unique perspectives that make Veterans such a valuable member of the Wisconsin School of Business Team. Check out the photos, see below. The Wisconsin tradition is in full swing! We are almost hallway through the season and the MBA tailgates have been a blast! If you have not been to one yet, throw on your red and join the next one. The season isn’t over yet! The GBA hosted it’s annual golf outing on Friday, September 15th at TopGolf in Naperville, IL. 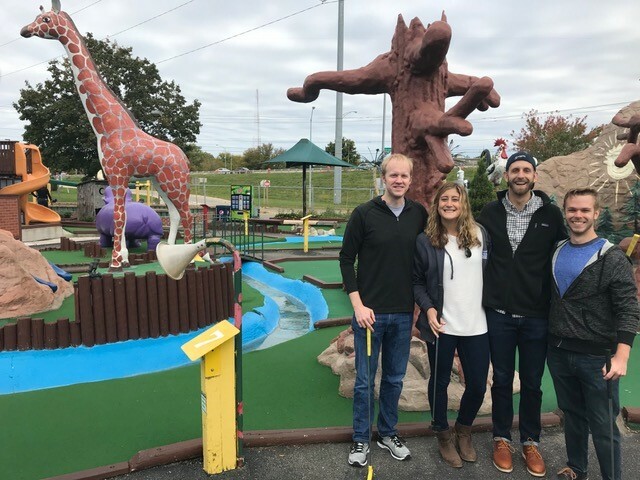 First and second year MBA students had the opportunity to network with company recruiters and classmates, and enjoyed golfing, amazing weather, and great food. Company sponsors included SC Johnson, Kimberly-Clark, Intuit, and Target, and additional alumni attended the event. Thanks for participating and we hope all of you had a blast! On Wednesday, August 30th, students from the Classes of 2018 and 2019 as well as faculty and staff participated in the 8th annual MBAs with a Heart day of service. 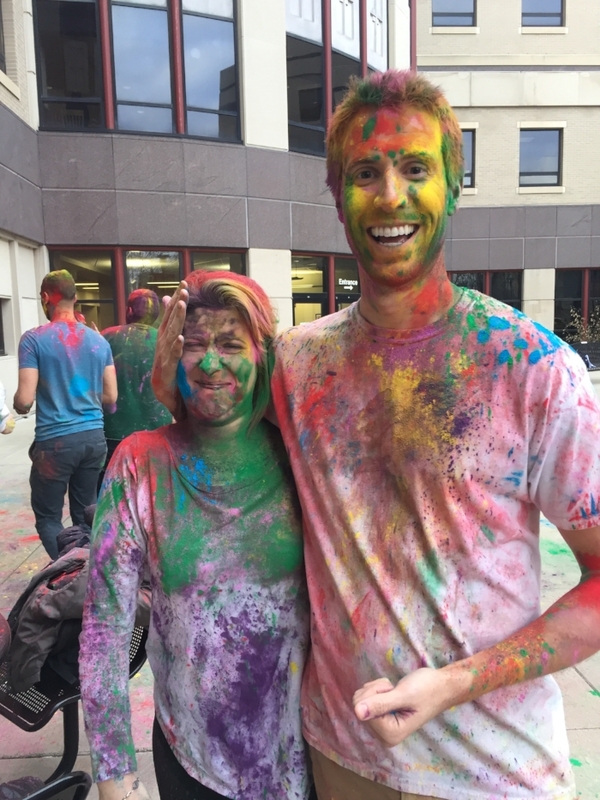 What started as an idea from a former student has since grown into a large-scale volunteer event that builds camaraderie across our MBA family and allows us to get to know and serve our Madison community. Our 2017 event featured 10 area organizations, where volunteers sorted food and clothes, cleared brush and weeds, prepped mural panels and many more activities to assist these local nonprofits. We also successfully added four new partners this year—Second Harvest Foodbank, Goodman Community Center, Aldo Leopold Nature Center and Dane Arts Mural Arts—allowing our students to gain broader exposure to the diverse landscape of mission-based organizations doing important work across Madison and Dane County. Thank you to all those who participated as volunteers and site captains; we look forward to making next year’s MBAs with a Heart an even better part of the MBA Experience! Artful Business Collective's annual Arts Showcase featured a wide variety of mediums and included performances from students and professors. On May 2nd, Graduate International Business Association put together the first Annual International Fair in Grainger Hall East Atrium. 8 countries were represented by 12 country representatives. The country representatives shared their experiences, culture and knowledge of the country that they were representing and made everyone attending the event more aware of the cultural diversity in the MBA program. Diversity in Business: Event Recap! In February, DIB hosted "Common Grounds: Is Political Correctness a Help or Hindrance?" This was a round-table event where current, relevant, and controversial topics were discussed with a spirit of openness and mutual understanding. Then in April, DIB hosted "Real Talk: Stories of Diversity in Business," which was a fire side chat on diversity in the workplace from accomplished professionals and business leaders about their challenges and triumphs throughout their careers. Marc Wendt and Sam Weigley, President and Vice President of Out For Business, attended the 2017 Reaching Out MBA Leadership Summit in Chicago on Saturday, April 8, 2017. Between breakout sessions on Building Connections with LGBT Employee Resource Groups and LGBT Recruitment Problem Solving, they found time to snap a quick pic with Matt Kidd, Executive Director of ROMBA. The UW Graduate Marketing Network had a great time learning about the differences between marketing in a non-profit vs a traditional CPG. The budgets may be small, but the hearts, the hearts are BIG! A special thanks to United Way of Dane County & Lindsay, Stone & Briggs! The first Luxury Business Decision club event of the semester happened April 1st! But it certainly was no joke! It was a great success! Jacobs-Brichford farms provided amazing cheese and great conversation. It was very interesting to learn about artisan, organic, grass fed cheeses. Who knew there was so much to learn about high-end cheese. My favorite was the Briana with shaved black truffle and truffle oil! Though the rest of the Luxury Business Decisions crew preferred the Everton! All were amazing! Thank you to all who came and we look forward to seeing you at the next LBD event. A small group of MBA students took a road trip to Devil’s Lake State Park, near Baraboo, Wisconsin, to volunteer. The students teamed up to help collect trash and move debris away from the campsites. The event was a great opportunity to enjoy the warm weather, explore one of Wisconsin’s beautiful state parks, and bond together before the semester comes to an end!